Story: Longtime friends Taylor, Reese, Mateo, Victoria, Darrin, and Marshawn have known one another for several years, as they all met in college. Taylor, who was a college cheerleader, met her boyfriend, Marshawn, when he played football for the University. Reese and Mateo dated throughout college, got married three years ago, and have two children. Darrin was the friend who always had jokes and was the life of the party. Victoria is a true Southern belle and has her friends’ and family’s best interests at heart. All have been doing well since college with careers in the NFL and the TV/film industry, on Wall Street, and in the legal profession. 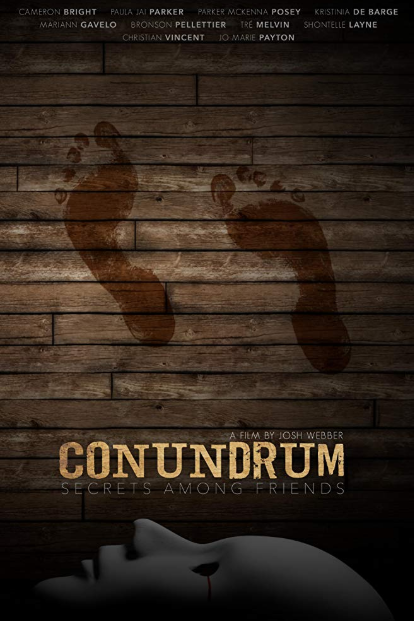 When they embark on a weekend getaway to a beach house in the Hamptons, all hell will break loose as there are secrets even in friendship… Source: Dread Central.